I think this is one of my favorite trends right now. Some of us look through the Pottery Barn pages or Restoration Hardware catalog and want those things. I would have to sell my house, kid, and husband to get the things I see in some of those home decor magazines. The next best thing is to re-create those things yourself. 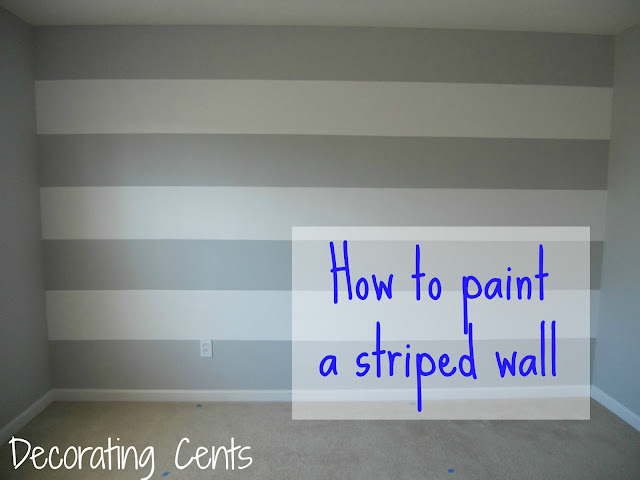 The Evolution of Home created this great Pottery Barn canvas. 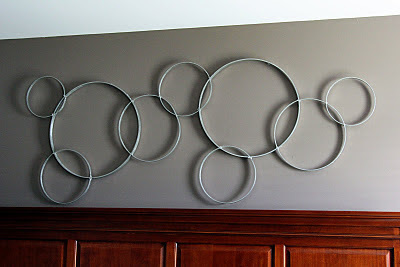 How awesome is this Pottery Barn circles votive by Simply Sarah. 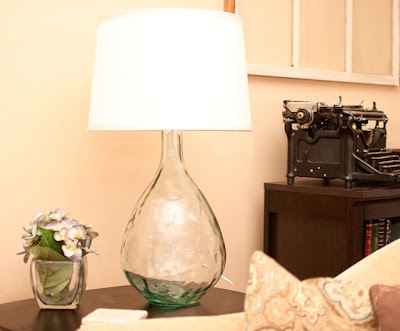 I love the Pottery Barn lamp by The Thrifty Abode. Who hasn't wanted to make one of Pottery Barn's beautiful chandelier's? Well Jenspire did and it's hard to tell it's not the real thing. 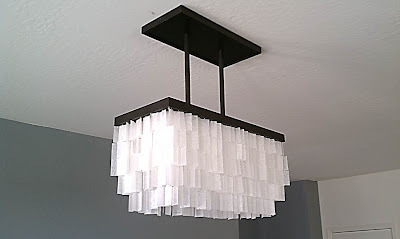 Check out this West Elm chandelier made by A Happy Place Called Home. That's My Letter created a cute Restoration Hardware alphabet art as a child's gift. So cute, I may have to try this one. 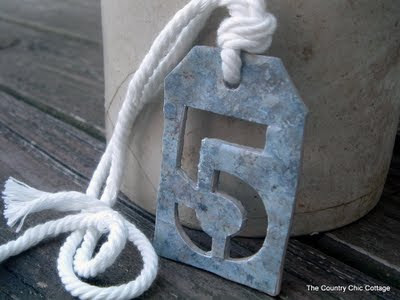 I love these Ballard Designs numbered tags by The Country Chic Cottage. Guess what they're made of. These ladies have shown you can have the luxury look without the luxury price tag. 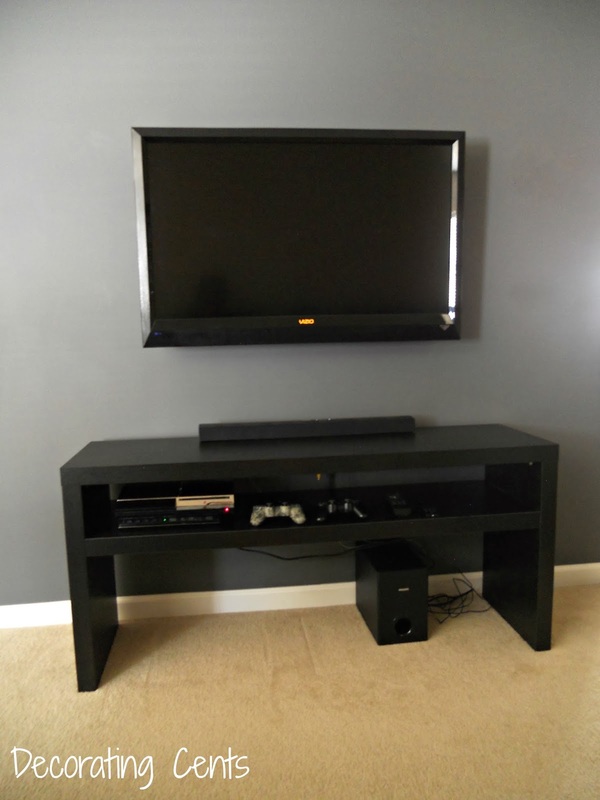 Let's see what inspired pieces you've done.